What are the sources of energy for our body ? 4. Happy / Meditative State of mind – How many of us meditate ? How long can we survive without food ? Without water ? Without sleep ? Without breathing ? Research shows that we can survive without food for 3 weeks, without water for 4 days and without sleep for 1 week, without breath for 7 mins. Food is a very important source of energy. We eat food everyday, that too multiple times in a day. Which means its impact on our body and energy is very high. Special care needs to be taken to ensure that we get maximum energy from the food we eat. 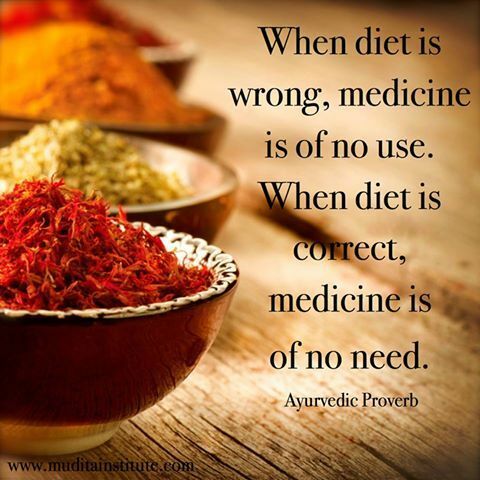 As said in Ayurveda, When Diet is Wrong, Medicine is of no use. When Diet is Right, Medicine is of no need. Food plays an important role in our lives and poor health can spoil all the efforts we have taken in achieving our dreams. Food can be eaten Raw or in cooked format. For preparation of food for consumption, we follow a simple process of cleaning, cooking and then eating. To get rid of pesticides n dirt, the food should be soaked for an hour before cooking. Water is a natural cleanser and cleans the aura of the food as well, similar to we taking bath every morning. This will also help us eat the food with the cover. Once the food is cleaned, we go ahead and cook it. We can cook food by – various methods. When food is deep fried complex substances called aldehydes are formed which increase risk of cancer and other diseases. Loss of nutrients happen while Baking at very high temperatures or while pressure cooking. Sautéing can retain essential nutrients of food similar to solar or steam cooking. The vessel in which we cook our food should be made of material which supports or builds our body. Utensils of Aluminium, Anodized, Non Stick, material are harmful for use. During the cooking process, when the spatula rubs against the surface of these metals, minute particles rub off and enter the body with food causing ailments in the vital organs of our body. Cooking n storing in Plastic containers leech harmful chemicals into food which can lead to adverse health effects like hormones related diseases in men and women and increase the risk of cancer. Cooking in Iron, Steel, Stone and Clay are some of the best ways to avoid the harmful effects of particle infiltration and leeching. The food can be eaten in Glass, Steel or wooden ware. Food has life energy of its own. Any cooked food remains fresh for 3-4 hours after cooking and should be eaten within that time. If we do not get energy from food, we don’t feel full or satisfied even after eating. Re-Heating foods in microwaves destroys all energy from food and should be avoided at all cost. The temperature of the food should be at room temperature while eating. To get the maximum nutrition and benefits from our food, before we eat, we need to embrace a sense of gratitude. We pray for the happiness of the people who grow our food, those who bring our food to us and those who cook and serve it. This ensures that we always eat food that is full of life energy thus giving us the maximum benefit from consuming it. Please close your eyes before food and say- Anna Data Sukhi Bhava. Anna Data Sukhi Bhava. Anna Data Sukhi Bhava. Then have a blissful food experience !